Pergola Land’s Alfresco range is designed so you can enjoy the outdoors all year round. Our insulated panels will keep you cool in summer and warm in winter. The insulated panels are constructed to allow extra long spans, reducing the need for additional support posts and beams, all while remaining structurally sound. The roofing is manufactured as a complete roofing system – steel roof, insulation and ceiling, reducing construction time onsite. To complete your alfresco area, LED downlights, fans and heaters can be installed, with unsightly wiring run through core ducts. Our insulated panels will keep you cool in summer and warm in winter. We use only the highest quality materials providing all year round usabilty and longevity. The finishing details – ED downlights, fans, heaters and more can be added. A range of additions to customise your Alfreso living area. Talk to our experts today if you have any questions. Privacy screening is great for creating a private oasis in your backyard. 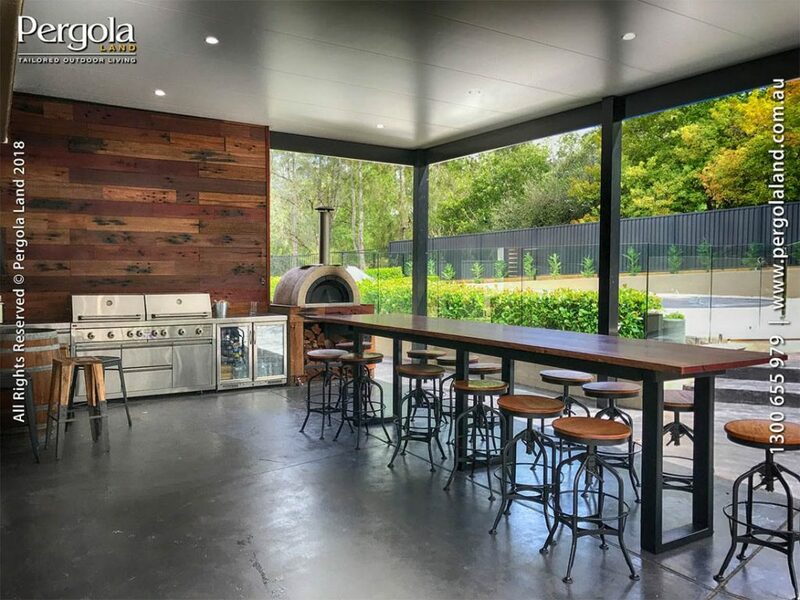 Whether you need to block out the neighbour’s view of your entertaining area so you can relax with your family in comfort, or hide unsightly utilities, Pergola Land can custom design and install any type of screening. Handrail is the perfect compliment to your Alfresco area. We have a range of hand railing solutions to suit your style and requirements, whether it be for safety or a simple way to divide an area. Outdoor blinds provide added protection to your home from the heat, wind, rain and insects. Our outdoor blinds allow you to enjoy outdoor living all year round. 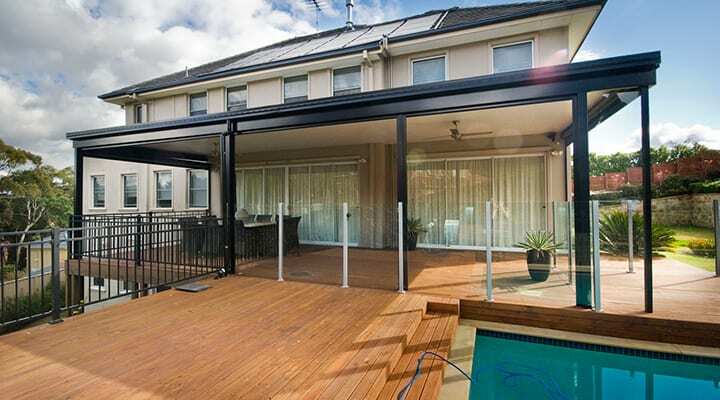 Pergola Land’s modern, innovative external blinds come in a wide range of finishes and designs. Your blinds will be custom made to suit your Alfresco area. We finish off our blinds with aluminium trimming and a roller mechanism, allowing you to control the blinds to different heights. 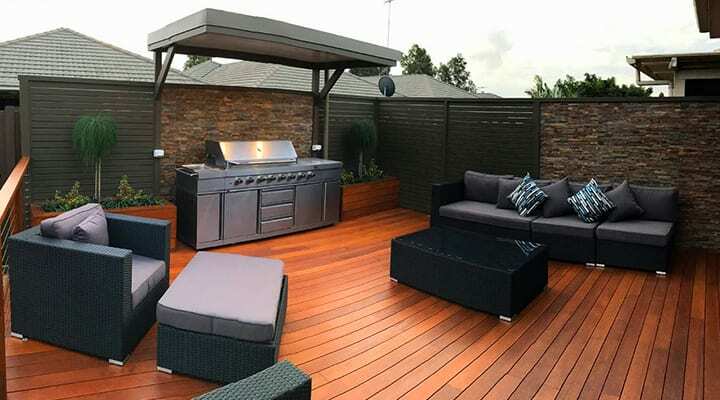 A Pergola Land deck combined with our Alfresco range could transform your backyard, front yard, balcony or even the side of your house into a new entertainment area for you and your family to enjoy all year round. Check out our decks page for more inspiration. Pergola Land is proud to introduce a new eco-friendly ‘sky light panel’. Available for our Alfresco range of insulated roofs, the light panels are Shaftless Solar Skylights and will add all the benefits of a traditional light strip but without the heat. 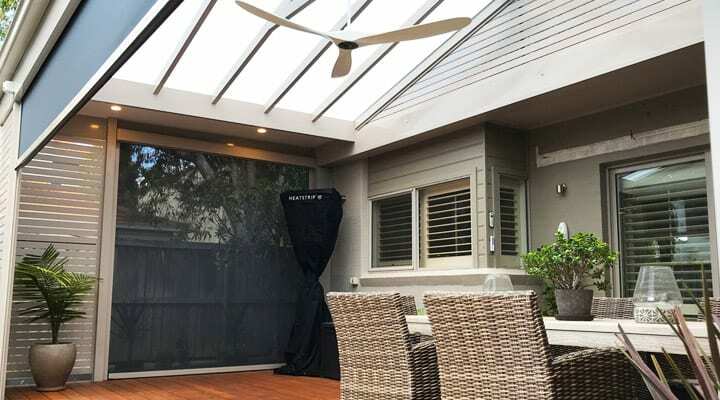 Quite simply, the Patio LightPanels is an advanced electric light system that connects up to a solar panel on the top side of the roof. Just like traditional skylights, the light emitted from the Patio LightPanels varies with the amount of sunlight. Mains powered and low energy, these super efficient LED downlights provide unbelievable amount of light. For added heat in winter, or reducing the heat in summer,why not add a heat strip or a fan to your Alfresco area. Our team will ensure electrical cabling is run while your Alfresco pergola is being constructed to create a neat and seamless finish. Our service includes all necessary components to complete your project from start to finish, so you can enjoy your new outdoor living space straight away. From the ground up, the Alfresco is built with our signature Aluminium Frame to provide excellent strength and style. The posts, beams and rafters are selected to provide the finest visual appeal without looking cumbersome. Comfort and style is brought together with Versiclad Spacemaker insulated roofing.